When a twenty-four-year-old writer named Charles Dickens was asked to write a serialized story about English country life, no one anticipated that he was about to become one of the most famous authors of all time. 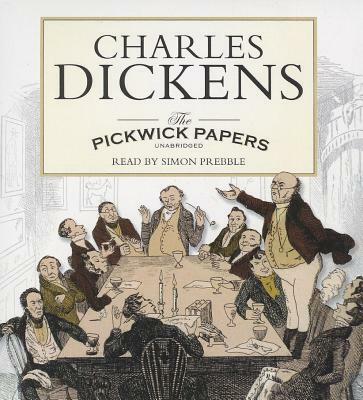 The Pickwick Papers, as it came to be called, enchanted readers with its lively humor and delightfully drawn characters. The members of the Pickwick Club, presided over by the kindly old Mr. Samuel Pickwick, Esquire, agree to make a series of separate journeys into the English countryside and report back to the other club members on their adventures and observations, resulting in an abundance of entertaining anecdotes. When The Pickwick Papers was finally released as a complete novel, it became the first real publishing phenomenon, inspiring bootleg copies, theatrical performances, and merchandise based on the popular characters.